Once construction or renovations are complete, and the builders have left, it is a fact that there will be dust and dirt, scuffs and leftover materials and grime remaining, even if the builders clean the area after their work has concluded.1st class professional Cleaning provides after builders cleaning services which will get the newly constructed building or a home remodel in pristine condition. This is the service you need if you are looking to move in shortly, or quickly put up your property to rent in Reading. We cover all Reading, Slough, Maidenhead, Windsor, Ascot, Bracknell, Wokingham and all over Berkshire areas. 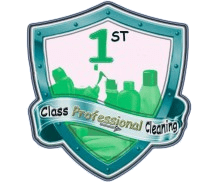 1st class professional Cleaning after builders cleaning services is the procedure where a team of experienced cleaning professionals will be dispatched to the job site. A comprehensive task list which has been prepared prior to arrival of the after builders cleaning duties will then begin, and will conclude when the location is left sparkling and clean and the client’s expectations have been met. The comprehensive task list of after builder cleaning includes our staff diligently removing all dust, cleaning and polishing of all surfaces including sinks and taps, skirting boards, doors, frames, windows and window frames, radiators and light switches. Glass such as mirrors and windows will also be cleaned and polished. The after builders cleaning of all appliances, cupboards as well as wardrobes will be completed inside and out. Our team will vacuum and wash all floors, and will also remove all trash left behind. Each member of our after builder cleaning staff has been trained and is experienced in getting the job done correctly and on time. All teams are supervised by a team leader whom will ensure all staff is completing their after builders clean duties with care, expertise and professionalism. We also can provide further equipment and services for additional fees which are not included in our comprehensive task list; clients should enquire about this prior to booking services. Our after builders clean additional services include professional steam carpet cleaning, steam upholstery cleaning, steam mattress cleaning and external window cleaning. These may be necessary if extensive construction or remodel was done which have left carpets and upholstery dusty and dirty. Please contact one of our friendly and knowledgeable after building cleaning customer service representatives today to get more information on our comprehensive task list by calling 01184027831. You may also book your after builders cleaning service today online, one of our customer representatives will get back to you within 24 hours.